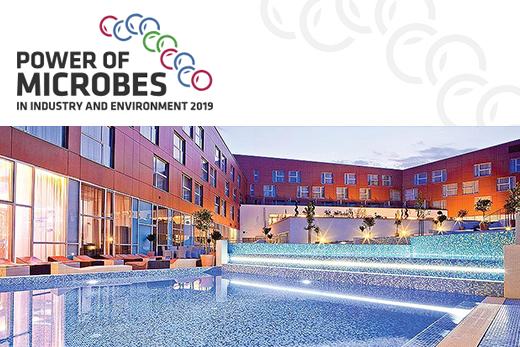 It is our great pleasure to invite you to the symposium “Power of Microbes in Industry and Environment 2019”, which will be held in Sveti Martin na Muri, Croatia from May 15th to 18th 2019. This symposium which covers all important topics of applied microbiology is already the sixth in a row, starting with the meeting in Opatija in 2002 and followed by the symposia in Zadar in 2007, Malinska (island Krk) in 2010, Primošten in 2013 and Krk in 2016. Like the previous meetings, the one this year will be organized by the Croatian Microbiological Society and co-organized by several other European microbiological societies, promoting the collaboration among microbiologists in Central Europe and broader. The experience of the past meetings motivated our efforts to continue with this series with a clear tendency to strengthen the scientific connections among research groups of neighbouring countries. The Symposium will take place in Sveti Martin na Muri located in Međimurje County, Croatia. Symposium venue will be Hotel Spa Golfer of the LifeClass Terme Sveti Martin, which is a unique destination for relaxation and wellness, sport and active holidays, congresses and team building along with first class gastronomic experiences and wonderful nature. With a wish to attract as many young researchers as possible, the Organization committee tried to provide lower registration fees, particularly for students, and special accommodation prices for participants of the meeting. We gratefully acknowledge the support of FEMS and ICGEB and encourage young scientists to apply for FEMS grants and ICGEB grants. As usually, all the necessary details are published at the symposium web-site. We are looking forward to seeing you in Sveti Martin na Muri!